What does biography allow us to see that other approaches might lead us to overlook? What do individual life histories reveal and make clear about the wider contexts around them? How do biographies allow us to see across real and imagined boundaries? Taking these questions as its starting point, my talk will highlight how biography can alter our methodologies and shift our perspectives. I will draw particular attention to the ways it can blur boundaries on many different levels, from the geopolitical (East/West, state borders) to the personal (generational, gender, social, and other divides). 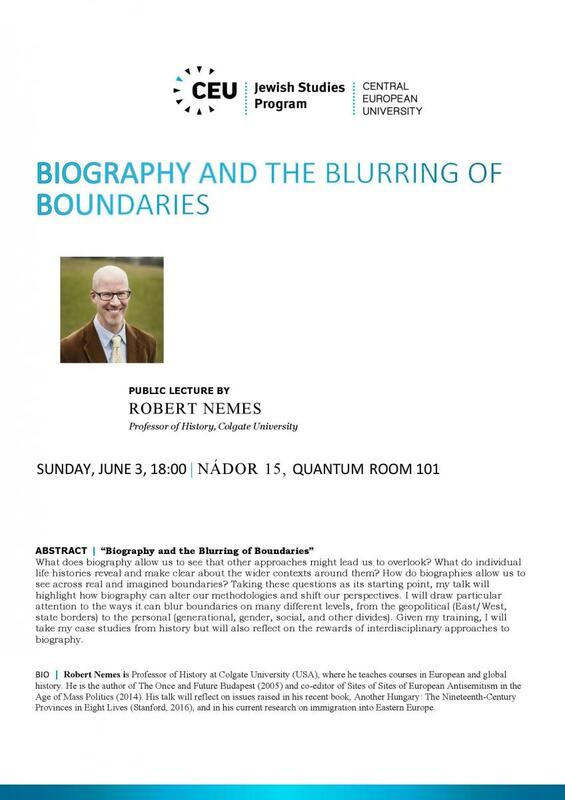 Given my training, I will take my case studies from history but will also reflect on the rewards of interdisciplinary approaches to biography.